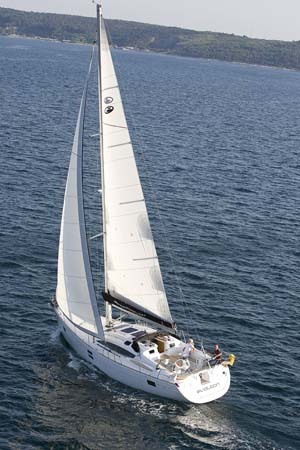 Frances is a brand new Elan 444 Impression which is joining us for the start of the 2012 season. 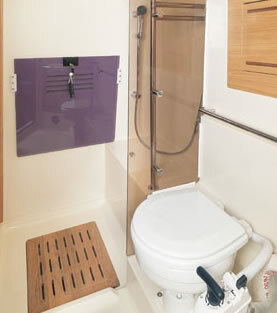 Please note that all of the images on this page are from the manufacturers as the boat is not yet with us, and that Frances will have a navy blue hull. On deck Frances is well equipped with electric anchor windlass and bowthruster, furling genoa and fully battened mainsail with all lines led aft to the large cockpit. 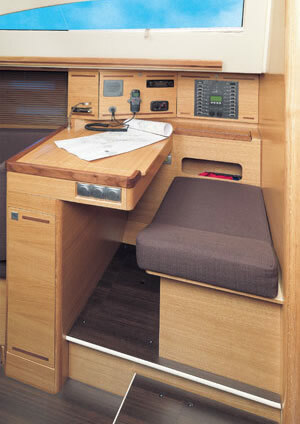 Twin wheel steering is supplemented by an autopilot and full (Garmin) instrumentation, plus colour chartplotter at the chart table. 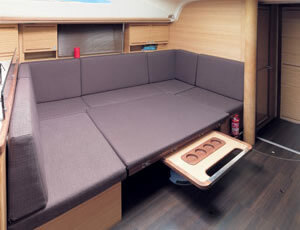 The spacious cockpit is well suited to dining al fresco with a large cockpit table which also acts as a convenient brace when sailing. 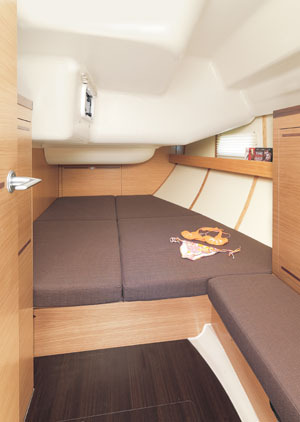 The walk through transom and drop down boarding platform make access straightforward. 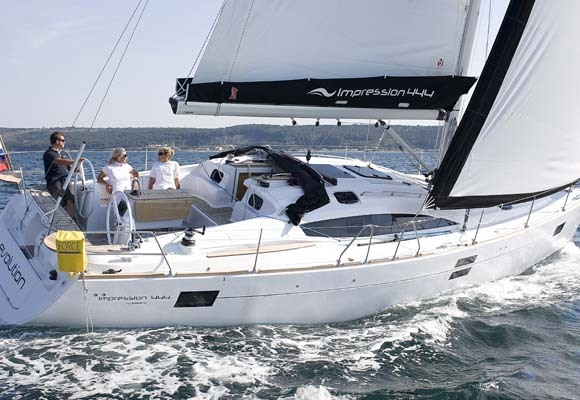 Under power she is pushed along by the powerful 75hp Yanmar engine. 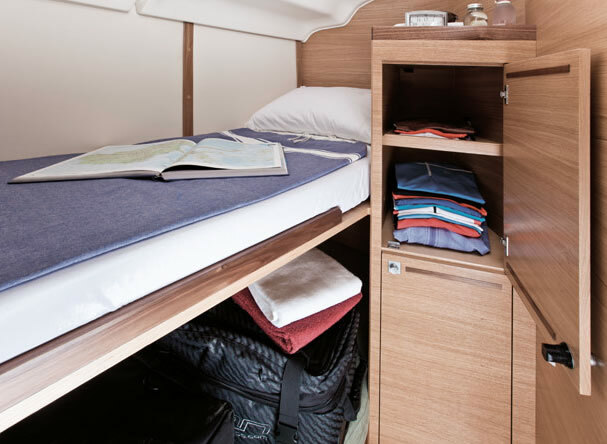 Down below Frances has the popular 4-cabin layout with the master cabin forward, twin bunk cabin to port and forward heads to starboard. 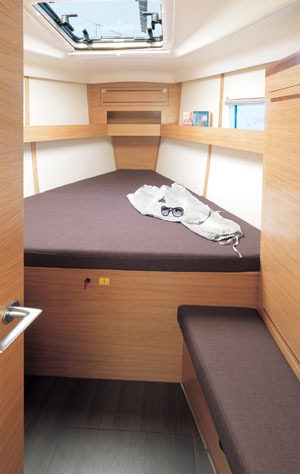 To the rear there are matching large aft cabins and a second heads to starboard. 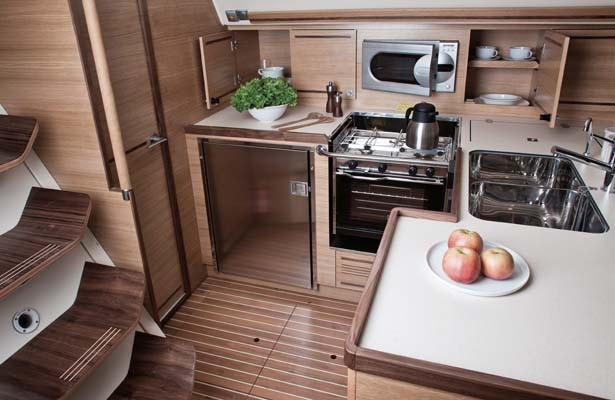 The well specified L shaped galley is to port and, in addition to the standard specification also has a second fridge fitted. 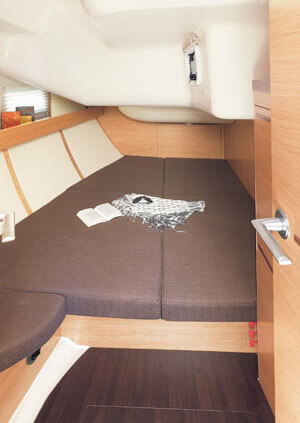 The chart table is to starboard, forward of which is the spacious saloon in which the main table drops down to give a generous double berth if required. 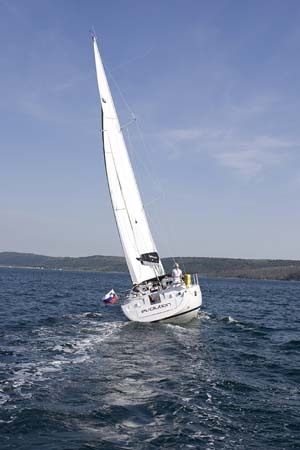 Like all or boats she comes equipped with a tender and outboard, and is fully coded to MCA requirements. 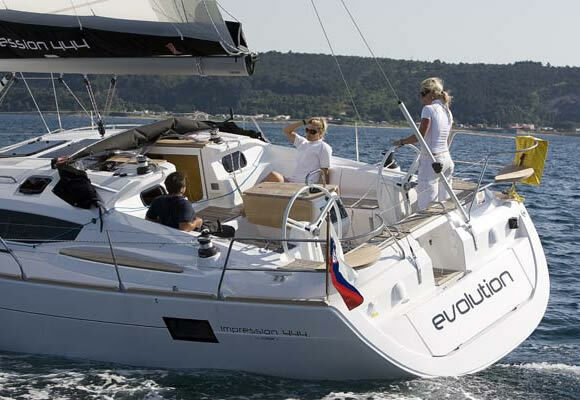 This means that she has a full compliment of safety equipment on board, including lifejackets and harnesses, liferaft, flares and first aid kits, as well as a range of automatic and manual fire extinguishers. She is also equipped with a large folio of Admiralty charts, pilots and almanac, together with an on-board manual and supporting literature.